Today’s technology has made engineered floors a viable alternative to the more expensive real hardwood and natural stone floors. But with all of these options, the choices are overwhelming. What exactly is the difference between sheet vinyl and luxury vinyl tile? And where does laminate fit into the equation? Here, we breakdown the names of each flooring type and their core features so that you can make an educated, informed purchase. Laminate flooring is made of layers fused together. The primary layer, or core, is a high-density fiberboard (HFD) that gives it strength, over a moisture resistant layer, topped with a high-res photographic image that is made to imitate hardwood, stone or tile. The top layer is a protective coating that gives it durability and protects the surface from scratches and stains. Laminate is a floating floor system that installs by “clicking together.” It’s highly stain-resistant and is best known for its durability, although this can vary, depending on the manufacturer. ProSource Wholesale® carries several highly durable brands of laminate including Harding®, Resista® and Resista® Plus. 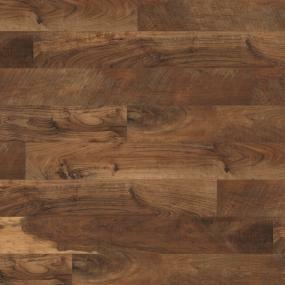 Today’s laminate is available in single planks, with texturing and beveled edges that mimic real wood. While laminate is versatile, it’s not ideal for locations that might have water issues, such as a bathroom or laundry room. Luxury Vinyl Tile (LVT) is made in layers as well; its primary component is polyvinyl chloride (PVC), which makes it stable and flexible. LVT installs traditionally as a glue-down system by the application of a separate adhesive, although some products now offer a floating floor system as well. LVT is made of vinyl but the technology is so advanced that today’s luxury vinyl planks replicates the look of real wood, stone and tile. The main difference between LVT and traditional sheet vinyl is that LVT comes in plank strips or tile squares, versus wall to wall sheets, for a more realistic look. Unlike laminate, luxury vinyl tile is extremely versatile and can be used in virtually any room in the home, including bathrooms, laundry rooms and basements, because it is highly water resistant. 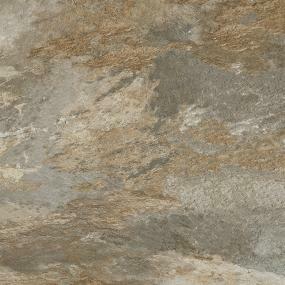 It’s also softer and warmer underfoot than laminate, stone or tile. LVT is very low maintenance and extremely durable. ProSource offers luxury vinyl tile in a wide range of styles and brands to suit every budget and design preference, from the affordable Harding® LVT and commercial grade Core Elements®, to our premium exclusive luxury vinyl tile brand, Resista® Plus. Sheet vinyl offers exceptional cushiony softness underfoot, easy maintenance and a wide variety of patterns and colors. While it’s been around for decades, thanks to industry advances it looks and feels very much like the natural materials it replicates. Sheet vinyl is also referred to simply as “vinyl” or “resilient” flooring. Today’s technology allows for extremely realistic replication of natural looks and textures like stone, slate and hardwood. ProSource carries a variety of offerings in sheet vinyl from the budget conscious to the fashion forward. The Harding® brand alone has several options for just about any need. 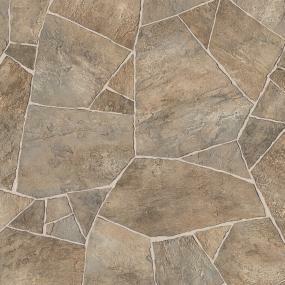 All of the lines are easy to clean and maintain and, oftentimes, cost less than luxury vinyl tile. Sheet vinyl does need to be installed on a very smooth, flat surface because of how soft the product is. Over time, even small grains trapped beneath the floor can wear on the material causing lumps in the surface, and eventually, rips and tears in the flooring. With all of these options, you’re sure to find an engineered flooring solution that’s perfect for any room in your home. Review inspiration images and the hottest trends in flooring. Add what you like to your myProSource project center. ProSource carries a wide selection of laminate, LVT and sheet vinyl in the latest colors, styles and textures. Our showroom staff can help you narrow down your selection and choose the best flooring for your project.